“This is the last thing Mom and Dad would have wanted” – one of the most common sentences I hear when representing clients in contested probate litigation. When a Will or a trust or even the actions of a trustee are challenged, there often is what we call an extensive discovery, which brings to light personal information that you’d rather not go public. Depending on how a case develops, financial and medical records are frequently discussed in open court and submitted as part of court pleadings, which are public record. 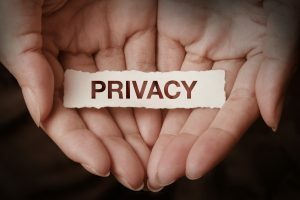 Although attorneys as well as self-represented parties must redact personal identifiable information such as your loved one’s social security number and birthdate, private information is still revealed, including his or her physical and mental condition, assets and spending habits. One alternative is alternative dispute resolution (“ADR”). ADR provides a private and closed-door alternative to an open court trial. Available ADR options include mediation and arbitration. Mediation: Mediation is, essentially, an assisted negotiation. The mediator is often a retired judge or attorney who has significant experience handling the type of cases you are mediating. Although there is no guarantee that mediation will resolve a dispute, mediations are often successful even if prior informal negotiations failed. The “experienced eyes” of the mediator can help parties to see the strength and weaknesses of the case more clearly. A mediator is able to provide a reality check to the parties and manage the parties’ expectations. Arbitration: Arbitration is a mini-trial behind closed doors. The parties select the arbitrator(s) who serve as the judge(s). After the parties present their evidence and arguments, the arbitrator makes a decision. Depending on what the parties agreed upon, the arbitrator’s decision is either binding or non-binding. If the arbitration is binding, a Court may only set aside the arbitrator’s decision in some extreme circumstances. If an arbitration is non-binding, any party who is unsatisfied with the arbitrator’s decision may move forward with trial in the Probate or Superior Court. Despite this, just like mediation, non-binding arbitration can still be useful because it often provides a reality check to unreasonable parties. If the Arbitrator awards Party A more than a $100, Party A will walk away with only $100. If the Arbitrator awards Party A less than $10, Party A will still receive $10. If the award comes in anywhere between $10 and $100, Party A will receive whatever amount the award is. This arbitration option provides some protection to all parties from the often harsh all or nothing results of trial. In addition to protecting your loved one’s privacy, ADR is also a less expensive and faster alternative than a trial. As already noted above, if you participate in mediation or non-binding arbitration there is no guarantee that the ADR will resolve the matter. In addition, you cannot force the other side to agree to an ADR. Most attorneys, however, will recommend to their respective clients mediation or non-binding arbitration due to the lower cost and faster resolution. Similarly, judges will often encourage parties to participate in mediation. I don’t have an attorney, can I still participate in an alternative dispute resolution? Yes. Just like in any court proceedings, there is no rule against a person being self-represented in an ADR. Keep in mind that the Rules of Professional Conduct allow attorneys to limit their representation of a client to an ADR proceeding. In other words, if cost is a concern, you may hire an attorney for the limited purpose of arranging and representing you in an ADR proceeding. If your intent is to only hire an attorney for this limited purpose, make sure you communicate this to the attorney at the beginning of your conversation. If you are involved in contested probate litigation and would like to consider an alternative dispute resolution option, call us today and we’ll take care of you.